Pre loved jewellery: the accessory trend we're obsessed with. Heads up: the jewellery trend we're crushing on. When you work in an office that consists almost entirely of women, checking out each other’s outfits and clothing can become a sport. “Where did you get that from?” has practically become my anthem. I don’t do it on purpose; I can just be a bit of a sticky beak sometimes and I really love fashion. And the longer I’m around these smart and stylish ladies that I’m lucky enough to work with, the more I realise that’s where I get a lot of my own style inspiration from — whether it be on purpose or by fluke. Lately, I’ve noticed one particular trend that makes me want to join the club immediately: pre-loved accessories. That’s right, I’m talking second-hand. I consider clothing to be my domain, so when it comes to jewellery I’m definitely no expert. If there’s one word that would describe the overall theme of my accessories up until this point in my life, it would be &apos;disposable&apos;. I’m sure you’ve been there too. When cheap and cheerful jewellery chains cropped up everywhere a few years back, I got on board in a big, big way. But now that I’m in my mid-twenties, I regret the fact I didn’t invest more money in timeless, good quality pieces that will never go out of style. 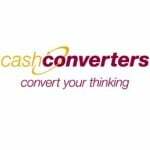 When you think about it, purchasing items second-hand through a retailer such as Cash Converters is a fabulous idea. You can get both classic and one of a kind items as well as boutique brands such as Tiffany and Co and Rolex at affordable prices. I’m coming to learn that spending your hard earned cash on pieces that you will want to hold onto and will actually go the distance when it comes to accessorising, is a much better idea than collecting cheap and nasty jewellery that will only end up getting turfed. Classic Find: Stacked bangles - $1,397. Stacking bangles is always a stylish and simple way to dress up any outfit. I’m an avid bangle collector when I’m travelling, so wearing something like these makes me feel like I’m always on holidays. The two outside bangles are 21 carat gold, while the centre bangle is nine carat and detailed with tiny diamonds across the front. They’re really versatile and can also be worn separately for a more classic look. They’d also look pretty damn fabulous on either side of a watch for a vintage feel. So many carats it&apos;s practically a veggie patch. Image: supplied. Investment Piece: Rolex watch - $11,999. Never in my life did I think I’d be able to get my hands near a luxury item like a Rolex watch, but here I am — and it was love at first sight. In comparison to a brand new Rolex, Cash Converters makes something like this boutique product much more attainable. This is an Oyster perpetual date and just between you and me, it looks almost identical to some of their new release watches. We’re already winning. It has a sapphire crystal face with a jubilee bracelet that dates back to 1945. It also has a delicate row of diamonds around the face which gives it a more feminine touch. As if you weren’t sold already, this beauty has all original parts confirmed and even includes a three-month warranty. Cash Converters additionally provide a valuation certificate with many of their pieces of jewellery – including this Rolex – so you can rest assured that what you’re buying is high quality. Love at first sight. Image: supplied. Capsule Collection: Pearl earrings - $199. I’m a big fan of these pearl earrings because they’re classic with a unique vintage touch. The 14-carat white gold loops around the bottom of your ear, while the beautiful white pearl sits on your earlobe. They’re similar to a clip-on, as the back has a screw you can tighten to your own comfort that will hold it in place on your earlobe. I can hear those of you who don’t have your ears pierced rejoicing. Forever Piece: Diamond earrings - $1,899. I’ll be the first to admit when I tried these babies on I was a little nervous. I had immediate flashbacks of Kim Kardashian losing her diamond earrings while swimming in the ocean when she was on holidays in Bora Bora. I know the likelihood of me losing an expensive earring in the same way is equivalent to me winning the lottery, but the thought of such an expensive item going missing is heartbreaking nevertheless. That’s why I was overjoyed when I discover these 18-carat yellow gold diamond earrings had SCREWS ON THE BACK. That’s right. You have to screw the entire back of the earring on, making it highly unlikely those rocks are going anywhere. They also sparkle like it’s nobody’s business and are so classic you can wear them with absolutely anything. Kim, I’ll send you some details about those screws. "I had immediate flashbacks of Kim Kardashian". Image: supplied. A touch of colour: Coloured jewel ring - $169. This coloured jewel ring is without a doubt my favourite find for a few reasons. The first is that it immediately reminded me of Kate Middleton’s wedding ring. The second is that coloured jewels are massively on-trend and pink happens to be one of the colours I love to wear most. The final reason is that it was the cheapest of all the items I tried on. The band is nine-carat yellow gold, while the pink cubic zirconia is surrounded by smaller white ones. It’s a great way to get on board with a trend without spending too much money. Nine-carat yellow gold with a pink cubic zirconia. Image: supplied. Dream Piece: Diamond ring - $12,799. I’ll let you in on a little secret: when I tried on this diamond ring, I immediately snapped a photo of it and sent it off to my boyfriend. It’s the exact cut and style I’ve been eyeing off for an engagement ring and comes at a much more affordable price than going to a major jewellery store. The best part about this ring is that it was brand new and had never been worn. It even came with a valuation certificate outlining all of the details of the diamond from colour to clarity and weight. It was also signed off on by an accredited member of The National Council of Jewellery Valuers so you can be sure of the quality of the item you’re buying and feel completely safe in your purchase. The dream piece. Image: supplied. What&apos;s your most treasured piece of jewellery?